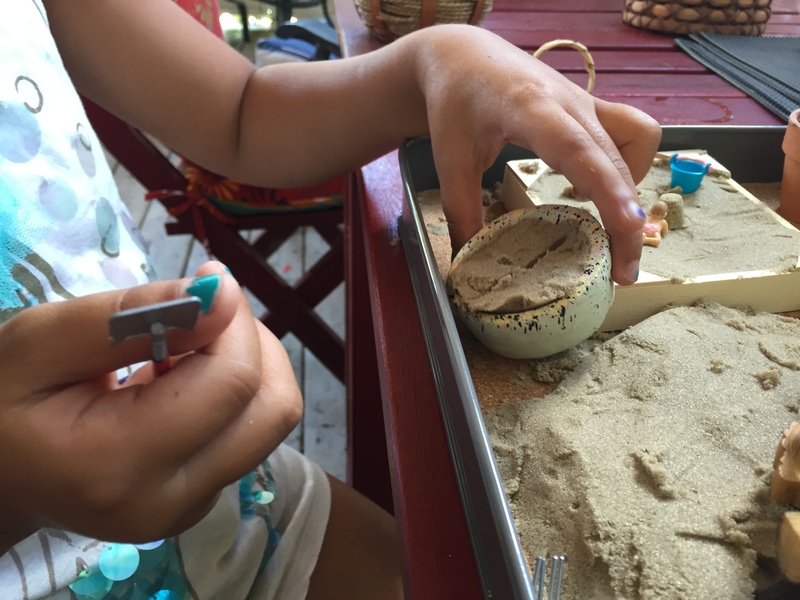 Worksheets don’t Work: Try Reggio-Inspired Mathematics! By: Diane Kashin, Ed.D, RECE. After three decades of fascination with all things early childhood education, I still wonder where the future path will lead? What will the the field of early childhood education look like 25 years from now? Morrison (2004) asked that question over a decade ago and made some predictions including a move from a “romantic/developmental” to a “rational/cognitive approach” (p. 1) that correlates with a shift from child-centred to teacher-centred practice. Teacher-centred is not teacher dominated, directed, and dictated. “It does not mean straight rows and worksheets. It does mean that teachers are and will be held more accountable for children’s learning” (p. 3). The future role of the early childhood educator will be defined instead by Vygotsky’s “social/cultural” theories (p. 1). As an advocate and follower of Vygotsky’s theories when I read Morrison’s predication back in 2004, I was thrilled but now, over ten years later, I am concerned that developmentally inappropriate “worksheets” still seem prevalent. I am not the only one concerned. 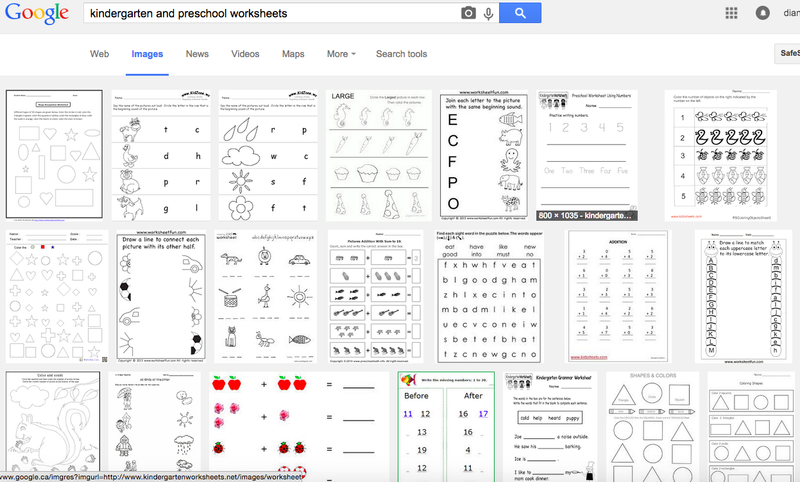 Take a look at these images of the worksheet examples that came up when I “Googled” preschool and kindergarten worksheet images. I will admit that I used worksheets and gave them to my own children when they were young. I remember being concerned that some children scribbled on the page rather than connected the dots, or drew a line to match the letter to picture or filled in the number of apples on the page. I understood that developmentally they were not ready for the worksheet but how could I put out worksheets for some and not for others and what do I do with the scribbled worksheets? I remember worrying about the parent’s possible reaction – would they think that their children failed at a task? It didn’t take long for me to abandon the use of worksheets and I have never looked back. Worksheets are not the future, should not be the present and should stay firmly in the past. We know better ways to approach literacy and mathematical outcomes. Still I hear some say that parents want worksheets. I don’t see that as a reason for utilizing worksheets because as a professional, an early childhood educator should recognize the inappropriateness and be able to take a more playful and hands–on approach to meeting outcomes supported by research. Parents may want worksheets because of their own past experiences. Parents are, themselves, products of a curriculum that supported worksheets, cutouts, and themes. Parents may feel pressure to have the children ready for the next grade level, and they associate the practice of worksheets with the school model. In trying to duplicate a school model, child care programs use instructional group experiences, construction paper cut outs (i.e., turkeys at Thanksgiving, pumpkins at Halloween, and shamrocks for St. Patrick’s Day) and worksheets to “teach” the children. With the habits of practice entrenched, this legacy of a school model for child care will become the norm and we will have “straight rows and worksheets” rather than a community of learners socially constructing with a multiplicity of materials. Worksheets in contrast to Reggio inspired mathematical invitations are visually very different and this is significant. 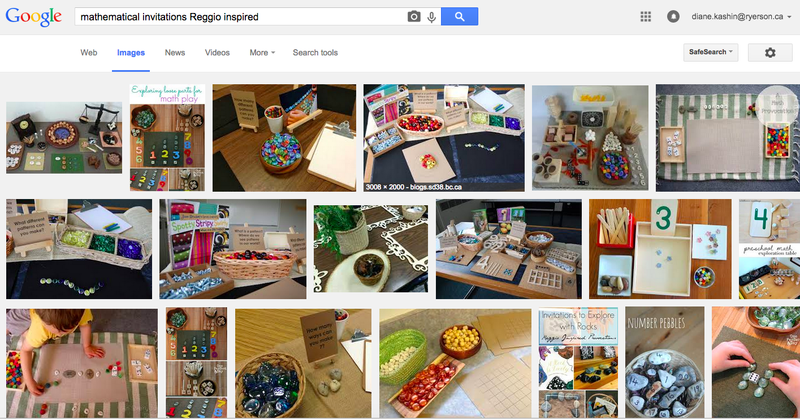 Look what appeared when I “Googled” mathematical invitations Reggio inspired. Worksheets are a passive task with children often reminded to “keep their eyes on their own work”. This certainly will not lead us to early childhood education defined by Vygotksy’s social cultural theories. Some may argue that some children enjoy using them. I think these same children, will also enjoy more open ended experiences and will have more of a chance to be creative and individually expressive. Worksheets do not allow for creativity or individual expression and offer very little in the form of skill development. I have seen worksheets that are very open ended and do not require children to fill in predetermined answers. These are different. Some children also enjoy colouring books and tracing sheets but they too have limited inherent opportunities for skill development. I worry for the many children that find worksheets frustrating or difficult and wonder what we are doing to their motivation and creativity. I remember being called to meet with my son’s senior kindergarten teacher who was concerned that his teddy bears were multi-coloured and he didn’t stay within the lines. When she showed me the worksheet and expressed her concern, I bit my tongue and remained silent, worried about fueling her already apparent dislike of my inquisitive, active, hyper, creative and verbal son whose fine motor and social skills lagged behind his peers. He had a rough year in senior kindergarten and many more to follow. What would school have been like for him, if there had not been worksheets? I have heard the view that it is difficult to “teach” letters and numbers without worksheets. I am here to say, that I know it is possible! In this blog post I will address numbers and in a future post, I will take a look at letters and discuss why it is possible to “just say no” to worksheets. Recently, I had two young friends visit at my cottage. I had an opportunity to “kid test” some of loose parts, particularly small world minatures. I was especially excited to hear Kalina talk math as she created her small world exclaiming to her Mom that she “divided the pie in half”. I am preparing to teach two sections of a fourth year early childhood education, math course at Ryerson University and thinking ahead at how I will address beliefs that worksheets are okay. 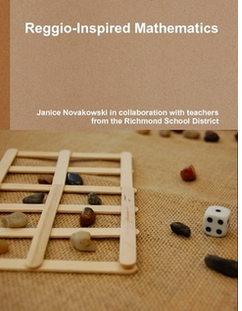 I am so inspired by the work of Janice Novakowski and the teachers from the Richmond School District, that I plan on creating some math kits to demonstrate how outcomes can be met in ways that support children’s curiosity, inquisitiveness, creativity and playful nature. I am grateful to my friend, Cindy Green for supporting me with my crazy ideas with enthusiasm and excitement. I don’t see this little project as work, but as a playful and joyful experience to co-construct these kits together. Direct Prompt. A prompt, question or problem is provided by the teacher orally or is included as a visual or written prompt with accompany materials. Implied Prompt through Modeling. A visual model, suggestion or opening is provided with the accompanying materials. Open Exploration. An open invitation to exploration, with intentionally selected materials. I am so inspired by the possibilities of Reggio-inspired mathematics that I hope to return to the Swan Lake Centre as a potential venue for a workshop with the York Region Nature Collaborative on math indoors and outdoors. I hope the stars align once again and Janice might join us from across the country so we can share inspiring math practices sans worksheets. I hope that others will be inspired to make these math kits. If you think that you might be, I will end this post with Janice’s wise words. Yes, please feel free to share the lists. My only concern with the whole kit mentality is they get used for a “unit” and then get put aside. We developed them as a starting point for teachers to introduce them to the idea of Reggio inspired mathematics. What we found is that every teacher that piloted a kit went to her principal and asked for some funding to buy materials that could be in her classroom all year long, which is really what we want – for students to have access to open-ended materials all the time. Diane, you give a great summary of the push-pull of education in the 21st century, which reminds me of the debates about whole language and phonics in the 1970s and 1980s. 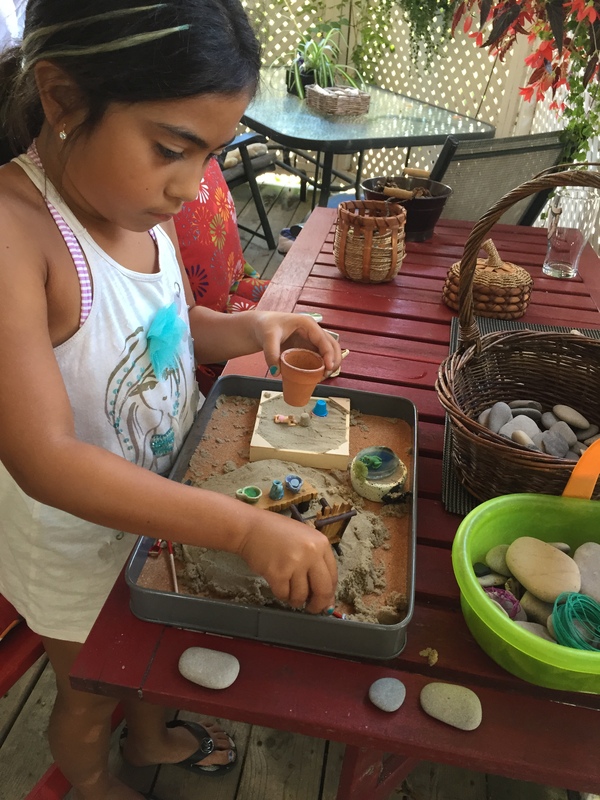 The work of Constance Kamii and other Piaget-based educators echo the Reggio approach. Teaching young children requires a delicate dance between what Piaget called “social education” and “physical education.” Social education gives children language and thus labels for concepts they discover. Well-meaning educators use worksheets to expand the social education of young children, unaware that social education by itself is void of meaning. Social education loses its vitality when isolated from physical experience. Young children require environments in which to test and discover the principles of math as teachers provide the language and label the concepts. Amen!! Please let me know if you organize this workshop ….I live in Kingston but would definitely make the trip to Toronto for this!! Hi Diane. What a lovely treat to wake up to another post by such an inspiring mentor. I hadn’t heard of Morrison ‘ s research so thanks for sharing that. Hopefully this ongoing ‘conversation’ about generic worksheets will provoke many early learning educators as they prepare for September. I love the images of reģgio-inspired materials that appear within the post. Is it any wonder why children find such materials so inviting? What a stark contrast to the image of the boring worksheets that definitely do not provoke wonder, curiosity and meaningful learning. I can’t wait to help collect the materials with you and YES Janice hopefully these wonderful mathematical inspired materials won’t remain in a ‘kit’ but be available throughout the environment, indoors and outdoors! Thank you so much for writing this blog! I enjoyed reading your comments on why worksheets are not appropriate in preschool and agree that as professionals it is our job to educate parents on why worksheets are not appropriate and advocate for children’s right to learn through play. I have given my ” No More Worksheets” presentation several times and still find ECE’s who are resistant to giving them up.Educator’s feel pressure from parents and sometimes supervisor’s/owners and believe that in order to show what children know,they must have some type of worksheet that displays their ability. I have encountered a situation where an RECE showed her supervisor (thinking this was the expectation) that she was giving the children choices of what they could do in the classroom. She promptly showed her a plethora of different worksheets the children could choose from. Much to my dismay I found this same educator and an ECE student she was mentoring on her placement, using worksheets I mentioned to the RECE how this was developmentally inappropriate practice and especially for the student to be seeing this as something that was acceptable. Please if you are a student and are reading this, there is no place for worksheets in a preschool classroom! I often hear “but they like them” ….while this might be true, most preschool children do not have the ability to discern what is good for them….just because they like candy, it doesn’t mean it’s good for them! The same is true for worksheets. Absolutely Kim! I will be showing this to my students for sure. Thank you! Jennifer … I would share this blog with the teacher. I would also set up invitations to learn that address the literacy outcomes but involve materials and opportunities to read, write and involves sounds. I think you should find your important voice as the DECE! I agree with Diane’s suggestions and also want to address that children writing sentences as they sound is considered a part of the stages of writing we call “writing through invented spelling”. During this stage children are developing their phonological awareness skills as they experiment with writing and it is completely normal that they write words the way they sound and not the way they are supposed to be spelled, rest assured they will move to conventional writing as they develop. Thank you for all of your writings, I am so glad to be able to hear and think about these ideas…. Every time I see a work sheet, a small part of me dies. I encounter the apparent ‘need’ for worksheets in different contexts. The need of the Headteacher/Principal to ‘see learning’ as part of a whole school book trawl. The need of the teacher to fulfil targets and coverage of curriculum. The need for learning to be captured for evidence at inspection and monitoring. The need for teachers who see no other way to teach. The need (expressed by others) that children love doing them. These worksheets are fed too by a culture of google for quick fixes and immediate answers together with online companies that churn them out. I see the work load of many teachers too, just barely coping to manage who fall prey to the immediate ease of downloading and reprinting. But I am sorry, because without the heartfelt spirit of inquiry of the teacher, it will be hard to imagine how children’s natural curiosity and spirit of inquiry won’t be snubbed out. Like I say, every time I see a work sheet, a small part of me dies as I know the damage that it does for the child. Will you be posting the dates here on the RECE working in Ontario fb page? Hi and thank you so much for this text that summed everything I want to say when we discuss this topic at work. I would like to ask if I could translate the text to swedish and give it to one of my colleauges who doesn’t understand english. Best regards! Absolutely Emmelie! I was just in Sweden in May visiting with the amazing Suzanne Axelsson. I visited preschools and playgrounds and was so impressed, I am surprised and sadden to learn that worksheets are a problem there. Good luck with your efforts! You have research on your side! I completely agree with your perspective and wanted to share the title of my new book that was published last month called “Mathematizing, An Emergent Math Curriculum Approach for Young Children.” It is a Reggio Inspired book as it promotes the learning of the mathematics that exists within children’s daily contexts, and it declares the importance of material exploration as a catalyst for learning. The book also presents language and inquiry methods, strategies and techniques to support the mathematical teaching and learning experiences in the classroom. If you have a chance, try to pick up a copy and read the book. The content should give you plenty of ideas to help you with the creation of an emergent curriculum math kit. Also, I would be glad to answer any questions or to provided suggestions for your upcoming project. A wonderful post. I too am worried about the prevalence of worksheets and the attitudes that surround their implementation. Thanks for this post.